With a range of bright colors such as red, yellow and green, apples are one of the oldest fruits known to man. Though crabapples are the only apples to originate in the United States, all 50 states grow them as a food crop. A sound source of dietary fiber and vitamin C, apples boast a juicy, crunchy texture perfect for everything from a light snack to a hearty pie filling. 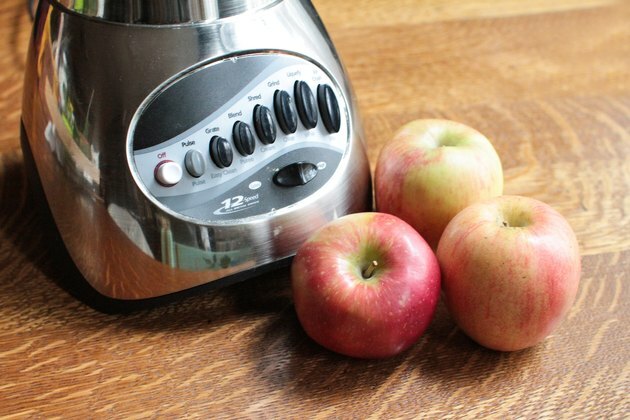 Blending apples in a blender breaks them down from solid form and makes a base for applesauce and baby food. 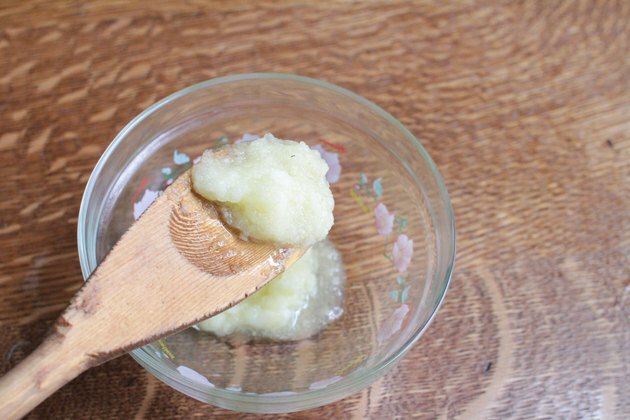 Blending also provides a simple way to store and freeze applesauce. 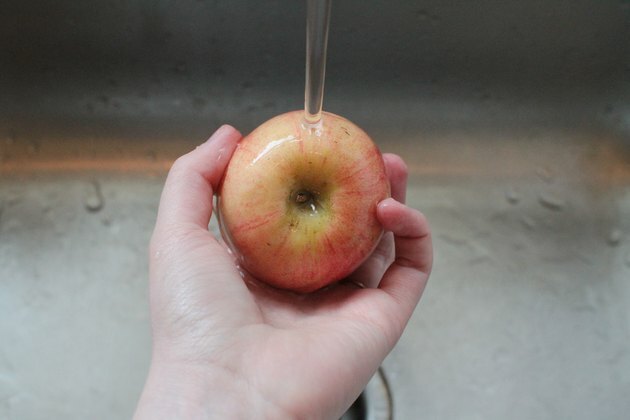 Wash the apples with cool water and wipe them dry with paper towels. Remove the skin with a vegetable peeler. 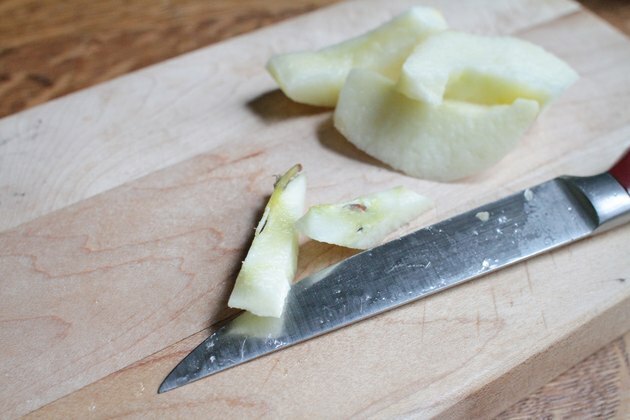 Cut away the flesh from the core of the apples or slice them in half and remove the seeds and core. Cut away the stems and hard end pieces so all you are left with is the tender flesh. Cut the parts you plan to use into small chunks no larger than 1 inch. 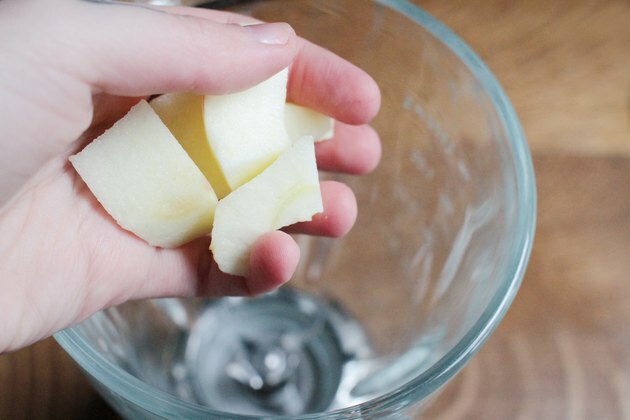 Drop the apple pieces into a blender, filling it no more than half way. Set the blender on high and blend the apples to the desired consistency. 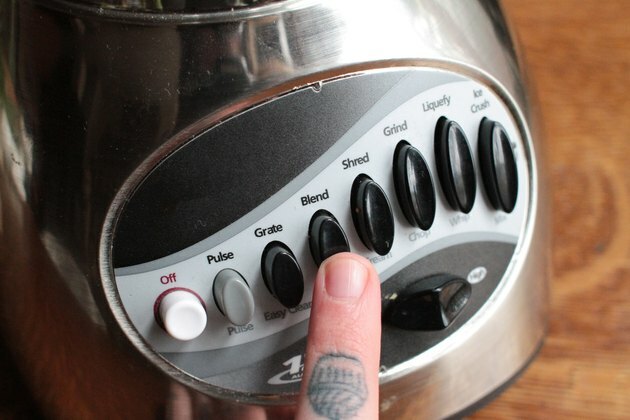 This only takes a few seconds, so watch the apples closely and only blend it for two or three seconds at a time. Scoop the blended apples out of the blender with a rubber spatula into a bowl. 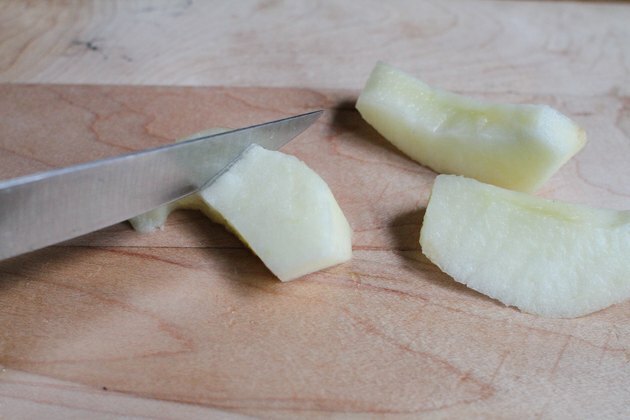 Add 2 tablespoons of lemon juice to the apples and mix it in well with a spoon. This helps to keep the apples from darkening if you don’t plan on using them right away. Ascorbic acid works well for this as well. 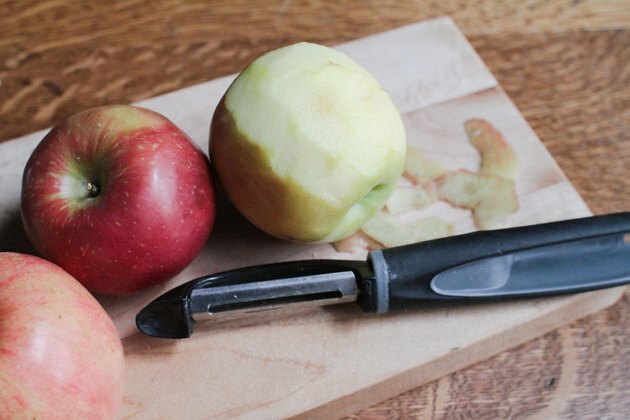 Store the leftover apples in the refrigerator for up to three days in an airtight container.